Draft 2015: Nathan Broad Watch highlights from Richmond's third selection in the 2015 National Draft, Nathan Broad. Richmond has used its third selection (pick 67) in the 2015 National Draft, to recruit Swan Districts defender Nathan Broad. Here is a summary of what Richmond fans can expect to see from Broad, in future seasons . . . Playing as a dashing defender, Nathan enjoyed a strong season at WAFL level with Swan Districts, averaging 20 disposals in 20 games. The 22-year-old also managed to shut down some of the most dangerous forwards in the WAFL competition. Broad was a standout at the West Australian state screening in October, running 24.04 seconds in the repeat sprint (better than any player in the national Combine) and recording a third-best beep test (level 14.1). Originally from Wubin (about 250km north east of Perth), Nathan relocated to Perth when he was 16 and attended Governor Stirling High School on a sports scholarship. 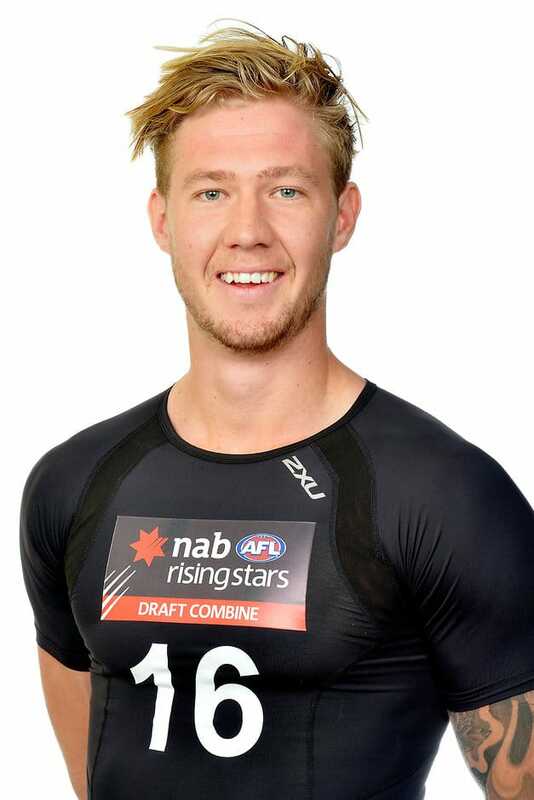 Having been part of the Swan Districts’ development program for five years, he will enter the AFL system as a ready-made, mature-age player, who has the athleticism and competitiveness to play on tall and small forwards. A mature-age, versatile defender who impressed with his consistency for Swan Districts in the WAFL this season. He averaged 19 disposals and six marks and provided great run and carry off half-back. Has made significant improvements in his decision-making and kicking over the past 18 months, and demonstrated his explosive speed by winning the repeat sprints test at the WA state combine. At 22, he is hungry for an opportunity and has attracted plenty of interest from AFL clubs.